The harvests have ended, and some regions are already drawing some preliminary conclusions regarding this year’s vintage. 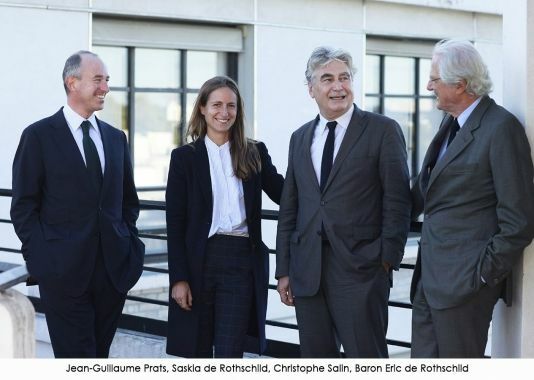 The general mood is one of optimism for this year marked by a wet spring, a superb summer and a good harvest from both a quantitative and qualitative perspective. Follow the iDealwine team on a tour de France of this famed vintage. 2018 required a lot of work for the Bordelais. A wet winter and spring gave way to mildew which quite simply, unfortunately, ravaged the organic and biodynamic domains. The good summer weather, however, made up for the disastrous seasons which preceded it. Far from damaging the grapes, light rain towards the end of their ripening relieved the water stress caused by the summer heatwaves. 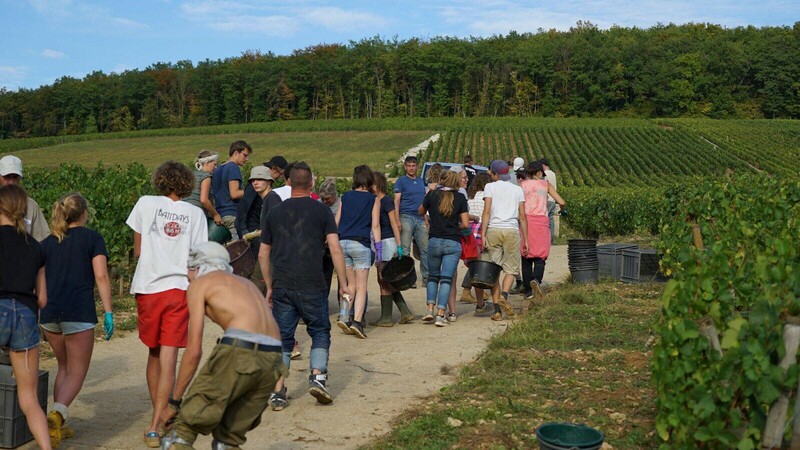 Alain Sichel (President of the CIV) describes the harvest as “average” in volume, but above average in terms of taste, heralding good news for those who lost much of their 2017 crop due to the April frosts. Burgundy was subject to several hailstorms in early- and mid-July. Fortunately, this time round, the vineyard was for the most part spared. Thus, after a clement winter, a wet spring and a superb summer, the secateurs were brought out in late August. Freshness and minerality define the white wines. An excellent vintage is expected for the red wines. Some even dare to compare this year with 2009… We’ll wait and see. While we have been hearing a lot about the other region’s harvests, the Rhone valley surprised us with its silence. After a clement winter, wet spring and good summer, the harvests began early, with great fanfare. Surprisingly, the Northern Rhone was the region which set the pace. 2018 was characterized by long periods of rain in the spring, with some storms and hailstorms. This humidity allowed the soils to stock up on water before the summer heat. Although the south was particularly hit by mildew, this didn’t prevent it from producing large volumes. Generally speaking, the vineyards were in healthy conditions thanks to the pleasant weather conditions. 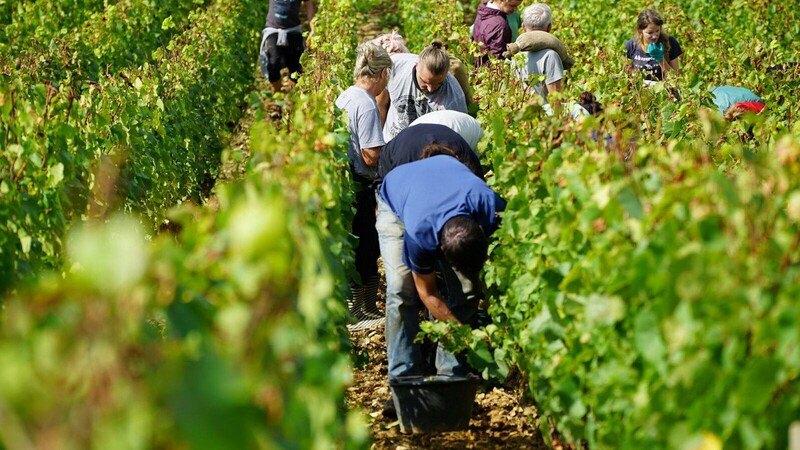 Both in the south and north, the Champagne is showing strong similarities with Burgundy and has also had an early harvest that is healthy, abundant and of good quality. The secret to this success? 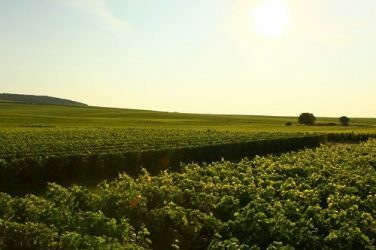 The chalky soils of the champagne region perfectly carried out its role as a sponge, storing the water from the abundant spring rainfall and redistributing it to the vines’ roots in the following months. We heard – through the grapevine  – that this year will be a great year for producing vintage cuvées. François Chidaine, who we spoke to a few months ago, told us: the 2018 grapes are visions of purity. It wasn’t without difficulty: with this hot, sunny weather, it was imperative that the grapes didn’t fill with sugar and produce wines with too high an alcohol content. As a result, when the harvests began, it was important to act fast! 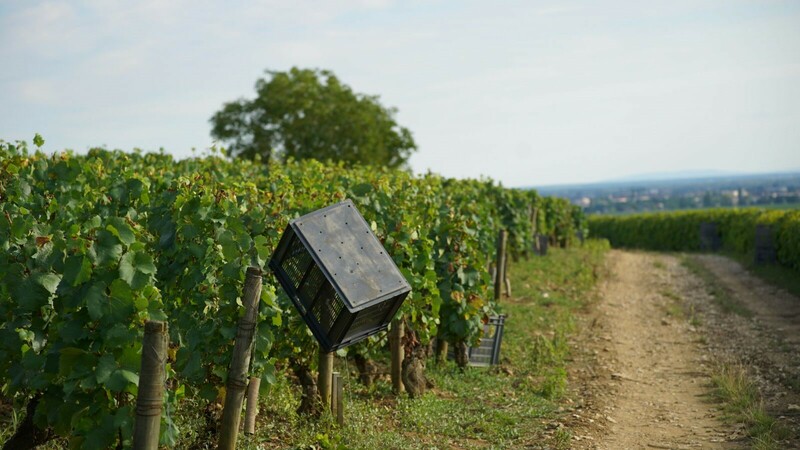 But, in general, the harvest is good both quantitatively and qualitatively: highly aromatic, delicious wines are expected in all of the appellations of the Loire. Unfortunately, some organic winemakers were not spared from the mildew. Even while the harvests were in full swing, Dominique Piron had time for a telephone conversation with us. He was extremely pleased with the weather and the fantastic harvest. This year is characterized by sun and warmth, with the grapes ripening slowly but surely in order to develop their aromas. A great year which will indisputably produce elegant, silky wines, with refined, round tannins, as has already been seen in several domains. As elsewhere, the vintage got off to a bad start. Mildew was able to quickly propagate due to the humidity. The summer was not without its difficulties: the heatwave required a lot of work in the management of the vines’ leaf surface. In spite of this, the roots dug deep for water and nutrients, preserving the acidity of the branches. The wines will therefore be perfectly balanced. In the spring, although storms and hailstorms didn’t spare certain parcels, the rainfall allowed the soils to replenish themselves with water. The harvests arrived early and were spread over the course of a month. The grapes owe their good health to the long, sunny afternoons, the influence of the Mistral, and the wide range of daytime temperatures. Luckily, all the grapes were harvested before the heavy rainfall of the beginning of the month. Let’s not forget the Jura, which is proud to have a magnificent vintage, “The best year in terms of volume since 2011, maybe even since 1974”, according to the director of the CIVJ (the Interprofessional Committee of Jura wines). Some young vines in Arbois, however, burnt under the summer heatwave. But in general, the red wines will be excellent. Unlike France’s other regions, in the South-west the grapes were not picked early, and the verdict on this vintage is somewhat more mixed. The cool, wet spring unfortunately paved the way for mildew. But fortunately in Madiran, for instance, the cool mornings and sunny afternoons preserved the purity and acidity of the fruit. Bergerac wasn’t as lucky, and the suffocating heat reduced the grapes’ acidity. This vintage will therefore vary depending on the appellation. 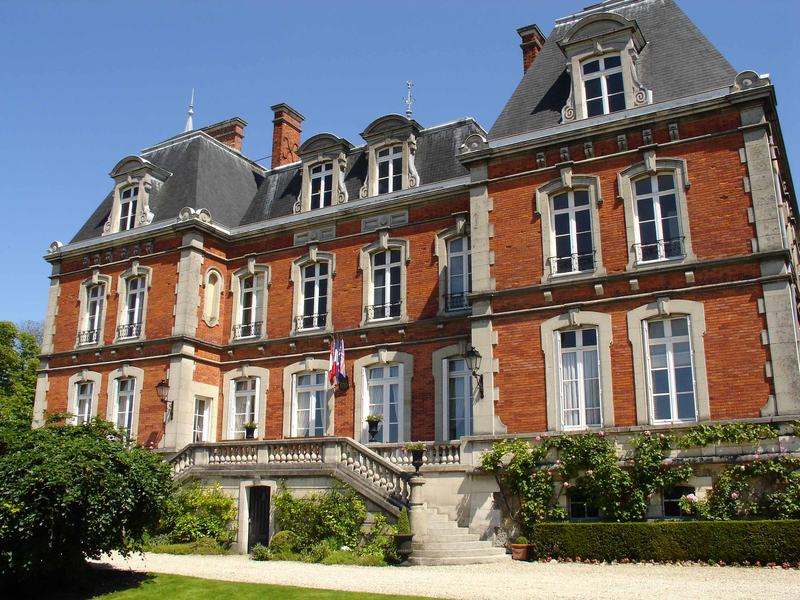 The iDealwine team recently tasted cuvées from domain Pouillon, a rising star in the Champagne region.